April Kennedy...My Life + My Style: ABOVE AND BEYOND the call of duty! Not only does my hubs rock, but my dad rocks and so does my awesome chef friend, Stephanie. 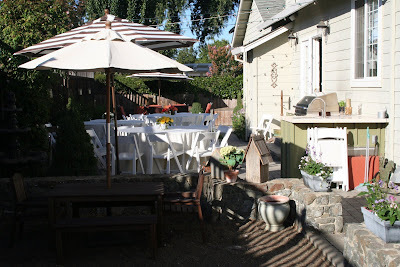 We started an outdoor kitchen area in our backyard three years ago. 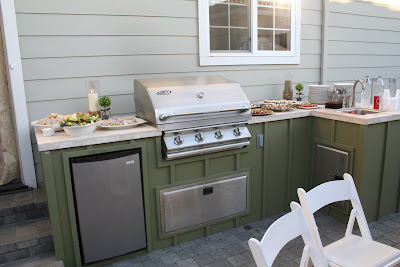 We started by purchasing the gas grill (in 2005) that would go into the kitchen area. That sat in our garage for a whole year and then the following year (2006) the framework was built for the kitchen area. 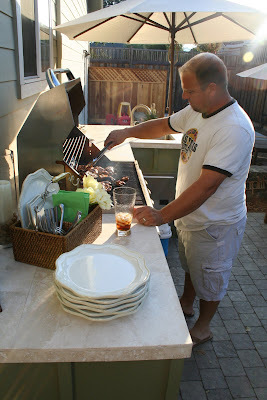 It wasn't until last year (2007) that I encouraged hubs to at least hook up the grill to the unfinished framework so that we could use the grill! 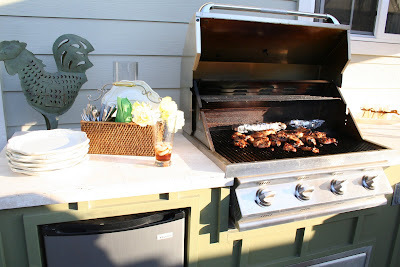 All last summer we grilled with a couple of plywood pieces being used as a mock counter top to our unfinished kitchen. Well this summer I was determined to find the time to finish this kitchen area. 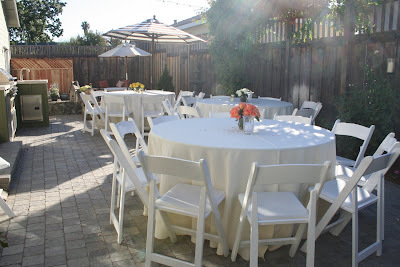 I can't think of a better way to get something finished in your home than to host a party. 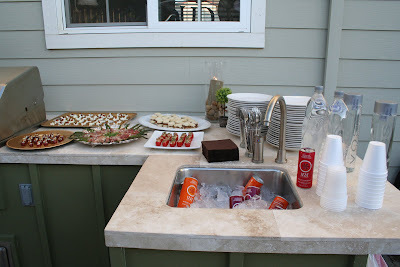 I was excited to throw a bridal shower for a friend in our ward and I was determined for it to be an evening under the stars with my backyard kitchen area finished, the yard decked out with string lighting, and good eats provided by my rockstar chef friend. Hubs and my dad really pulled through, working late into the evenings leading up to the blessed event. Thank you Dad and Hubs. Oh and can someone let the Bishop know that I would make a great event planner and would definitely go above and beyond the call of duty! Here are some pictures. Enjoy! 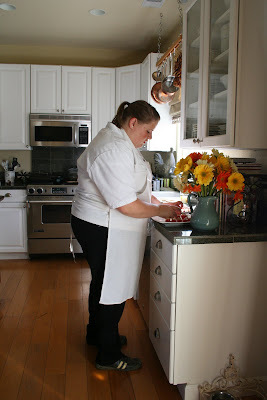 Stephanie even wore her chef coat and an apron. She was awesome! 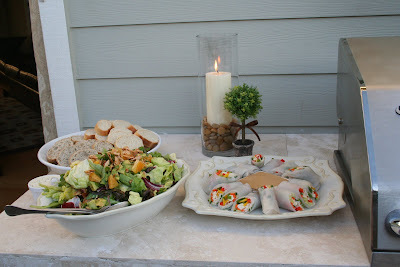 Yesterday we had my parents and hubs parents over for dinner. 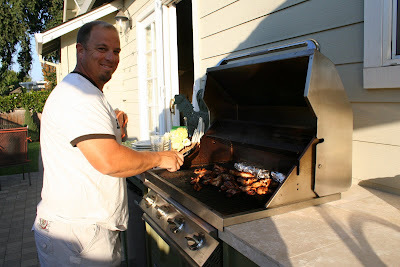 Here is hubs cooking for all of us. Many thanks to my dad for helping hubs get the kitchen area finished so we can enjoy and share.